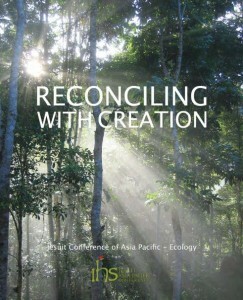 “Reconciling with Creation” is a resource book for those interested in learning more about the ecological dimension of the Jesuit mission. 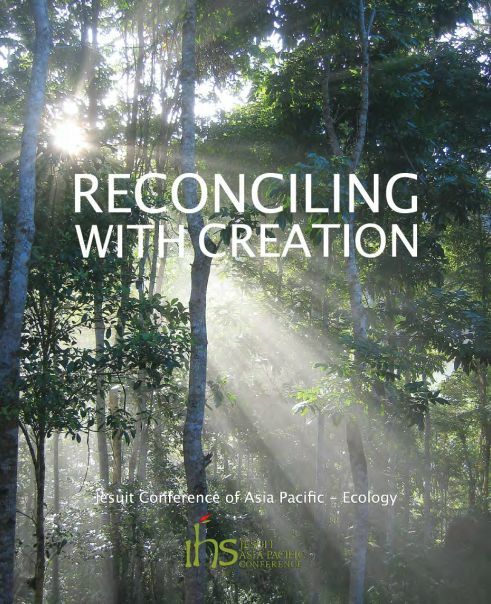 The publication is an effort of the Jesuit Conference of Asia Pacific (JCAP) and the Environmental Science for Social Change (ESSC), one of the institutes providing support to the conference’s work on ecology. The book contains various documents that are seen as helpful for people reflecting on and engaging in reconciliation with Creation. The core document, Healing a Broken World , is included, as well as a further reflection on the recent history of its development. There is also a section on the work of global advocacy in an Ignatian context, a movement that many are actively engaging with as they seek to respond to the realities in our society today. As part of the initiative to build advocacy and networks, Jesuit people are also promoting the environmental mission using online platforms and social networks. This strategy has been instrumental in reaching a global audience who share in the vision and action.